Back home on the Chesepeake. Phil and Parallax are back home on the Chesepeake. Check out his most recent log: June 2! I suppose for some an ocean passage is a definite thing, from here to there and perhaps back again. For me, the trip is more amorphous, its from has always been Hampton Va but the there and even the back again has been evolving according to the dictates of financing, insurance, the readiness of the boat, the nerve and capability of the skipper(me) and my judgment as to when my nearly 18 year old son was ready for me to go. He might say years ago. With constant pressure from me to make it happen the factors have all come together Òsorta in time to take advantage of the all important and very short November passage window to the Caribbean sea hopefully, after the threat of hurricanes has passed but before the probability of being pasted by a winter gale turns into a near certainty. Given these dynamics, the initial there almost has to be the Virgin Islands. The 1300 mile open water trip will take between 8 and hopefully not more than 12 days. The plan is to get east then south as fast as possible to lessen the exposure to the winter storms. At this point, the world might as well end at Virgin Gorda as the intense focus on this initial and most demanding part of the trip consumes my attention. When I am safely seated at the Bitter End Yacht club my mind will wonder to the next phase of the trip. 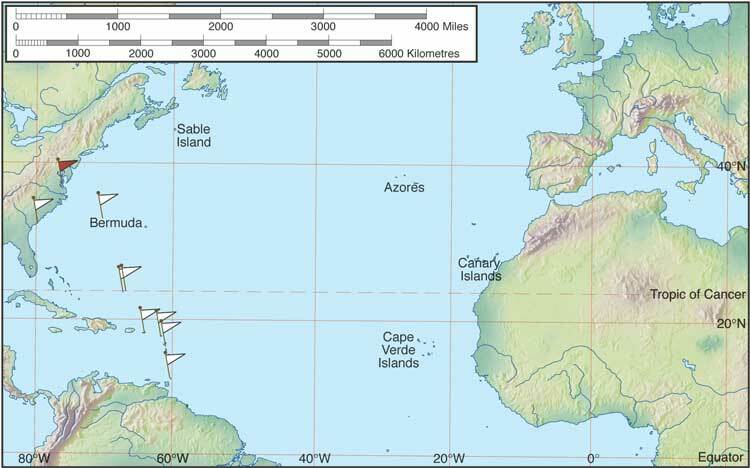 I will concede that I have purchased cruising guides and some charts for the Leeward and Windward islands. March will most likely see the Parallax in Trinidad or on the way back to Hampton. Neither destination will be an end just a waypoint. I originally planned to complete this first leg of the trip single-handed, a long and challenging trip this time of the year. While preparing for the trip, I read about a rally that leaves every year for the Caribbean, called the Caribbean 1500. I talked to organizer Steve Black, a very experienced bluewater sailor and he convinced me joining the rally would be great fun. The sailors past and present that have sailed in this rally include some very interesting people and some of the best know names in sailing. After talking to Steve at some length I found myself stroking a check for the entrance fee. 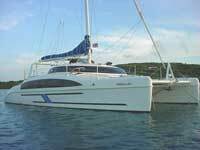 Parallax and I are now part of the 75-boat fleet that will depart for Tortola the 6th of November. Although rally rules do not permit single-handed entrants, there will be other single-handed opportunities, and after months of preparation and not a few setbacks I am ready to have a little fun and maybe not push so hard this first part of the trip.